Is Facebook Suppressing Politically Conservative Content? 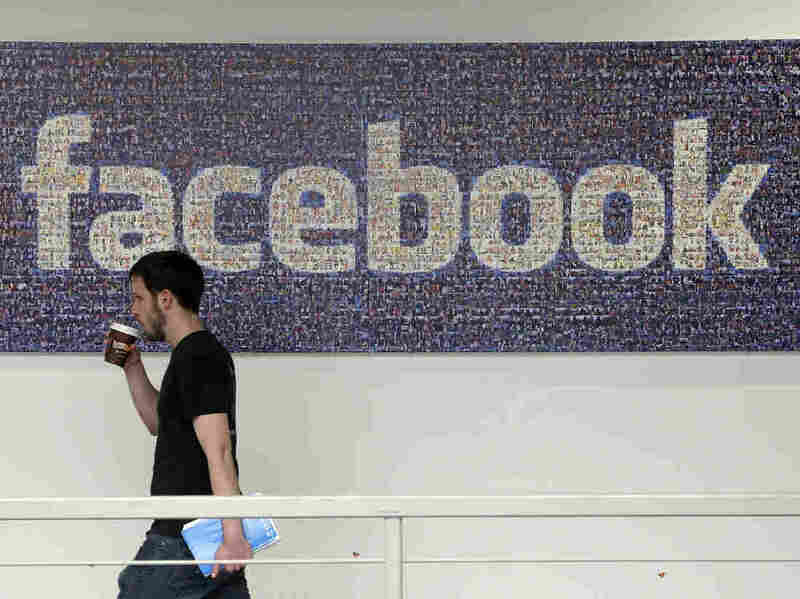 : The Two-Way The fallout continues after the tech website Gizmodo published an article on Monday alleging that Facebook wasn't just relying on algorithms to identify trending topics on the social media platform. Is Facebook Suppressing Politically Conservative Content? A Facebook official said the company has found no evidence to back up allegations that company contractors suppressed stories of interest to conservatives in its trending topics section. Facebook and a top Republican Senator have responded to allegations from the tech website Gizmodo that Facebook is suppressing ideologically conservative news or stories from conservative organizations from its "trending topics" column. According to an article Gizmodo published on Monday, Facebook wasn't just relying on algorithms to determine which stories made it onto the list of developing news on the right-hand side of its homepage. The article alleged that contracted employees called "human curators" helped decide what stories appeared, and that it "often depended on the taste of individual supervisors — some of whom were said to favor liberal causes such as Black Lives Matter," reports NPR's David Folkenflik for All Things Considered. The article, citing several unnamed former curators, said some stories in which conservatives may have more interest were passed over. It said that some of the topics that the curators suppressed included "former IRS official Lois Lerner, who was accused by Republicans of inappropriately scrutinizing conservative groups; Wisconsin Gov. Scott Walker; popular conservative news aggregator the Drudge Report; Chris Kyle, the former Navy SEAL who was murdered in 2013; and former Fox News contributor Steven Crowder." The Gizmodo report adds that some former curators said they were "instructed to artificially 'inject' selected stories into the trending news module, even if they weren't popular enough to warrant inclusion — or in some cases weren't trending at all." Some of these topics included the disappearance of Malaysia Airlines flight MH370 and the Charlie Hebdo attacks in Paris, the article said, also citing Black Lives Matter and the conflict in Syria as other subjects that former curators said were "injected" into the module. In a rebuttal Monday night, Facebook's Tom Stocky, who is in charge of the trending topics section, denied the report's allegations and said the company has "found no evidence that the anonymous allegations are true." "There have been other anonymous allegations — for instance that we artificially forced ‪#‎BlackLivesMatter‬ to trend. We looked into that charge and found that it is untrue. We do not insert stories artificially into trending topics, and do not instruct our reviewers to do so." For Facebook detractors, Facebook's bid to expand the social media platform's influence using video makes the allegations regarding the company's methods for sorting trending topics even more problematic. "With 167 million US Facebook users reading stories highlighted in the trending section, Facebook has the power to greatly influence the presidential election," the Republican Party said in a statement Monday. "It is beyond disturbing to learn that this power is being used to silence view points and stories that don't fit someone else's agenda." On Tuesday, Republican chairman of the Senate Commerce Committee John Thune of South Dakota also weighed in. "Facebook must answer these serious allegations and hold those responsible to account if there has been political bias in the dissemination of trending news," Thune said in a statement, according to The Hill. "Any attempt by a neutral and inclusive social media platform to censor or manipulate political discussion is an abuse of trust and inconsistent with the values of an open Internet." David reports that on Tuesday afternoon, Facebook told NPR that it will review its practices more deeply and address the Senator's questions.